Custom Embroidered Unconstructed Low Profile Caps, Unstructured. Sandwich, Twill, Brushed Bull Denim, Sueded. Custom embroidered low profile unconstructed caps. 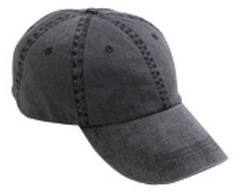 Unstructured without buckram so this cap is soft and comfortable. Embroidered with your custom logo which is included in price. Twills, sandwich bills, sueded fabrics, pigment dyed and brushed bull denim all embroidered with your custom logo to really advertise your business, group or team. Brands such as otto, port authority, anvil, hyp, authentic pigment dyed and more! What does "low profile" or " mid profile" mean? 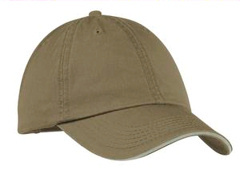 Custom embroidered Port & Company ® - Fashion Twill Cap with Metal Eyelets. CP81 . This cap features metal eyelets for ventilation and a classic look. 100% cotton twill, buckle closure, unstructured low profile.Custom embroidery included. Custom embroidered low profile unconstructed twill cap by Anvil. 100% cotton unstructured cap. 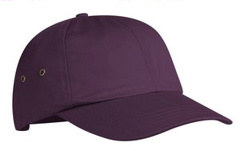 Low profile twill cap. Two sewn eyelets. Two metal grommets on side panels. Pre-curved bill has four rows of stitching. Tuck-away fabric strap size adjuster with brass buckle. Custom embroidery included. Custom embroidered Port & Company ® - Washed Twill Sandwich Bill Cap. CP79 . 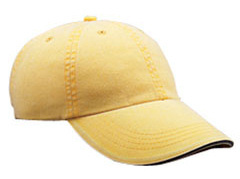 This budget-friendly cap has a self-fabric sweatband and a contrast sandwich bill. It's washed for a soft, lived-in look. 100% cotton, low profile, unstructured. Velcro. Custom embroidery included. Custom embroidered Port Authority ® - Garment Washed Cap. PWU. 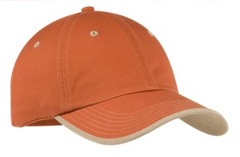 Our popular pigment-dyed, garment washed* cap has a lived-in look and is slightly brushed for softness and comfort. 100% cotton, low profile, unstructured. Buckle. Custom embroidery included. Custom embroidered Anvil pigment dyed cap. 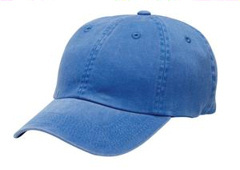 100% cotton unconstructed low-profile low profile cap. Six sewn eyelets. Pre-curved bill has four rows of stitching. Tuck-away fabric strap size adjuster with antique brass buckle. Custom embroidery on front included. Custom embroidered 166 Anvil 6-Panel Pigment-Dyed Twill Sandwich Unconstructed Cap. 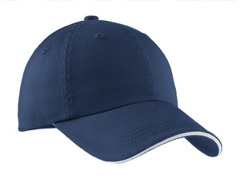 Precurved bill has sandwich Navy trim and four-row stitching. Matching-color sweatband, fabric closure with Velcro®. Low-profile, unconstructed crown, sewn eyelets. Custom embroidery on front included. Custom embroidered Port Authority ® - Vintage Washed Contrast Stitch Cap. C835 . Featuring a contrast rollover underbill and stitched eyelets, this cap has a vintage wash* for a lived-in look. 100% cotton, low profile, unstructured. Velcro. Custom embroidery included. Port Authority Signature® - Unconstructed Sandwich Bill Cap with Striped Closure. C830. Custom embroidered Port Authority Signature® - Unconstructed Sandwich Bill Cap with Striped Closure. C830. This style is one of our most popular looks with its wonderfully soft feel and appearance thanks to an enzyme wash. Unstructured. Fabric: 100% enzyme-washed cotton twill, Structure: Unstructured, low profile, velcro, Custom embroidery included. 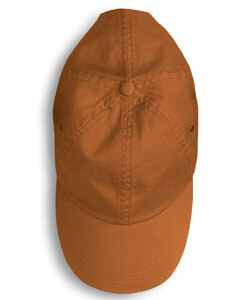 Custom embroidered AD969 Adams 6-Panel Low-Profile Washed Pigment-Dyed Cap. 100% garment-washed cotton twill; 6-panel, unstructured, low-profile; tuck-away leather back strap; antiqued brass buckle and grommet; Cool-CrownT mesh lining; four rows of stitching on bill. Custom embroidery included. What does "low profile" or " mid profile" mean? This is the height of the crown of the cap measuring from the brim to the top button. Low profile heights are typically 6 inches or less, while mid profile are 6 1/2- 7 inches. Most structured caps are mid profile, while unconstructed caps are low profile generally speaking.